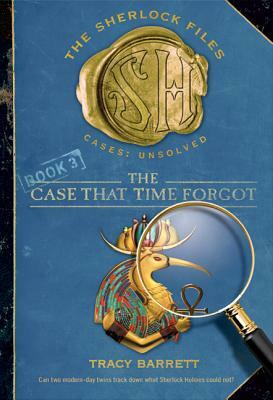 Xander's classmate Karim tells him about a famous amulet carved in the shape of Thoth, the Egyptian god of time. It was thought to be so powerful that it could turn back time one day every hundred years. And that day is in a week! The amulet disappeared from a London museum years ago. Xena and Xander's celebrated ancestor Sherlock Holmes tried to find it, but had no luck. The twins are on the case—and so are mysterious foes who are trying to thwart and perhaps even harm them! Can Xander and Xena track down what Sherlock Holmes could not? The Case That Time Forgot is a 2011 Bank Street - Best Children's Book of the Year.